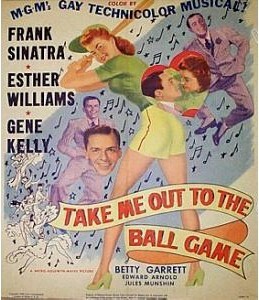 1949 - Beautiful Original, vintage Window Card for this Sinatra/Baseball classic! Striking and very colorful Artwork. Top (which is just blank area for theatre to write in) has been trimmed but in very good condition.